Israel is one of the few countries to send three male solo singers in a row (sans band even!). I don’t know what it is in the water there but it’s brought them good luck so power to them. 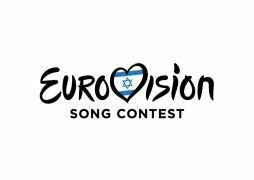 With 38 previous entries in to Eurovision, 33 qualifications, and 3 wins under its belt Israel is a seasoned contender. Despite not being in Europe they’ve been a part of the contest since 1973. After a string of non qualifying songs earlier this decade, the last two years have been a good time to be Israel. On the backs of two unlikely male singers Israel has handily gotten back in the game and keep far away from the dreaded nul points. This year they’ve decided once again to send a solo male vocalist, but not a ballad. Though it might be of note that last years song started as a pop song and then was revamped in to a ballad which was a good choice for that song I feel. This year the man of the hour is IMRI (אימרי) and his pop song “I Feel Alive” is at least standing way outside the pack of ballads. Imri’s vocals from the national final seemed completely fine. The 25 year old honed his singing skills while in high school as part of a local boy band and when he was doing his military service he joined the band there. He was in the first version of The Voice Israel and was the backing singing for not just last years entry (Made of Stars) but also the 2015 entry (Golden Boy)! Both of those songs went on to high marks so clearly he knows exactly what it takes to do the circuit at Eurovision and his singing chops are top notch. While we haven’t heard the live version of this song, the first glimpse we’re likely to get is at the Israel pre-party. But what about the song? It’s a pretty nice dance track, I hope that it pops more live because the recording of it is a little flat and again, there’s really no break out moment for me. There are a few sustained high notes but in the recording they’re auto tuned within an inch of their life and lose a lot of vocal precision. What excites me about this song is that there’s absolutely space for them to become something more exciting during a live performance. The same way I found “Made of Stars” quite flat in recording but Hovi imbued it with some magic last year, I’m hoping that IMRI can really bring the magic to “I Feel Alive”. I love the traditional instrumentation about 2/3 of the way through and the whole song has a good vibe that makes you want to tap your toes at the very least. They do a small dance in the video but to me, it comes off a little cheesy though it may be the filming style. IMRI has to squint basically during the entire video because it’s so sunny while filming and it makes him look extremely off-putting. I tried not to let that color my view of the video or him but I’ll certainly be waiting to see interviews where he doesn’t look like he’s trying to read something far away. I think Israel will definitely be able to take the staging big for this piece. They can go Golden Boy, dance party, celebration style. Especially in a year filled with dour, sour ballads this song has a big potential to do well. I think if IMRI can really hit those notes in the song we could see a top 5 finish for Israel. I rated this very low though because I’m suspecting that all the notes will be far too difficult, they’ll focus on his dancing and lose points from the jury and televoting because of it. So hopefully that helps someone else from having to look it up. It’s breaking me to pieces but I don’t think this we’re getting Israel 2018.